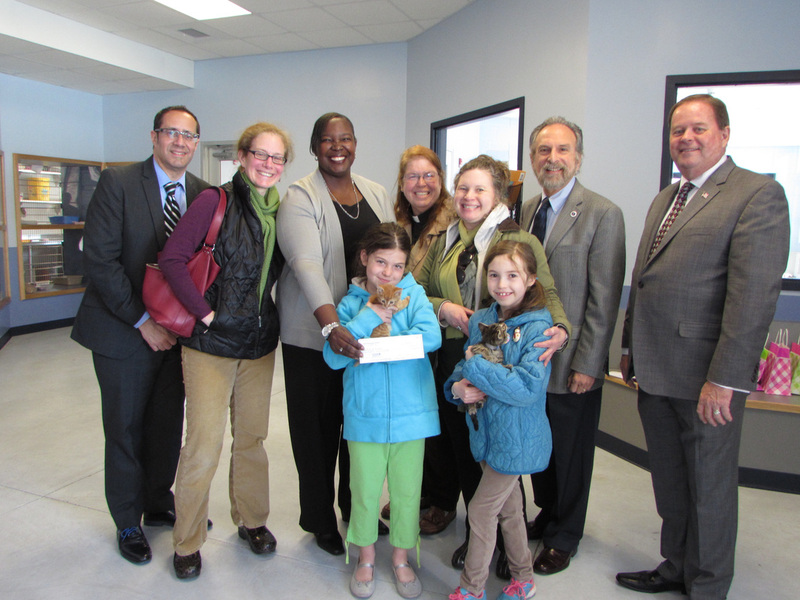 In April, 2014, two of Zion's younger members brought the donation the children gathered to help support the new Yonkers Animal Shelter. The children had raised the funds by selling products they made, including yummy home made dog biscuits and animal-themed kitchen magnets. The Zion delegation was welcomed here by: Deputy Commissioner Steve Sansone, Commissioner Yvette Hartsfield, Yonkers Minority Leader Michael Sabatino and Majority Leader John Larkin whose district houses the shelter. Mother Mary Grambsch, Mary and Aleah Ford-Sussman and Laura and Willa Crowley represented Zion Church.